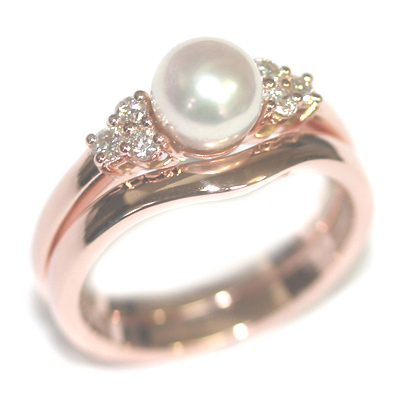 9ct Rose Gold Pearl and Diamond Engagement Ring and Fitted Wedding Ring — Form Bespoke Jewellers Ltd.
A pretty rose gold pearl and diamond engagement ring, and fitted wedding ring set. 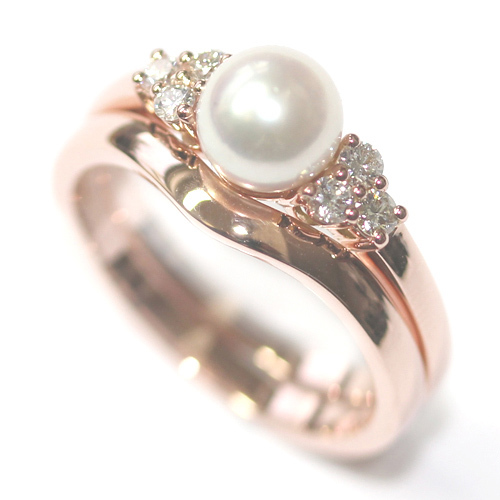 The customer returned to us following the creation of their bespoke Rose Gold Pearl and Diamond Engagement Ring, handmade by our expert Yorkshire jewellers. As their pretty cluster engagement ring had an unusual profile, a fitted wedding ring was the perfect solution. As a bespoke jewellers, this is one of our specialities too. Rather than a jigsaw-like fit, this bespoke fitted wedding ring simply sweeps softly alongside the shape of the engagement ring. The gentle undulating metal complements the delicate design of the engagement ring and its dainty stones. It also allows the ring to be worn independently if necessary. This beautiful rose gold engagement and wedding ring set is a perfect example of our bespoke jewellery creations at Form Bespoke Jewellers.